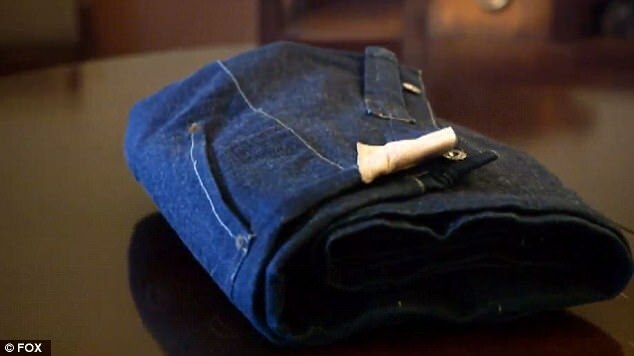 A pair of Levi jeans believed to date back to the year 1893, were found in a family trunk that had been passed down from generation to generation. It’s believed Warner was at least 6’6′. The jeans have a 44-inch waist and are 36-inches in length. Since his death in 1899, his his descendants have passed on a wooden chest. An ‘heirloom’ that bears his name. Jock didn’t think to check who the jeans belonged to until quite recently when an antiques roadshow came into town. The jeans, which are in excellent condition, look brand new, but the current owner Jock Taylor believes they have actually been laying in the chest untouched for decades – possibly for more than a century. He believes that they belong to his great-great grandfather Solomon Warner, an Arizona pioneer from the 1800s. Vintage Levi jeans can be hugely collectable, but to find a pre-1900 is a massive rarity and considered by collectors to be the holy grail. It’s believed Warner was a large man, at least 6’6′. The jeans have a 44-inch waist and are 36-inches in length. The jeans came to light when they were taken to a local antiques roadshow. The expert soon realised that despite the condition, the jeans were much older than had previously been thought. Unlike modern Levi’s, the jeans in those days had only a single back pocket. There were no belt loops as they wore braces. 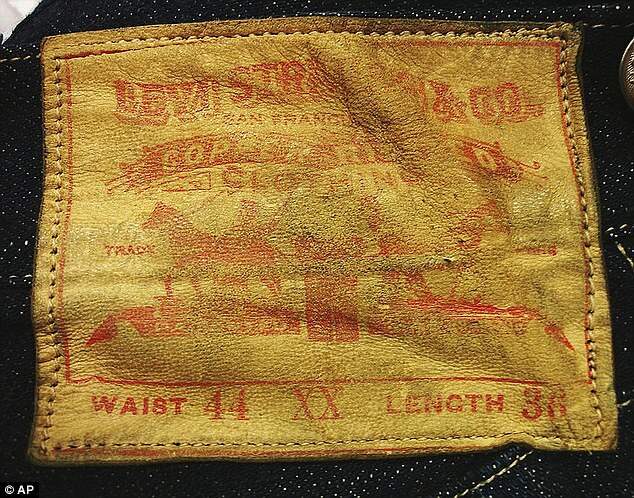 The denim was produced at a mill in New Hampshire, and the jeans were produced by Levi’s in San Francisco. 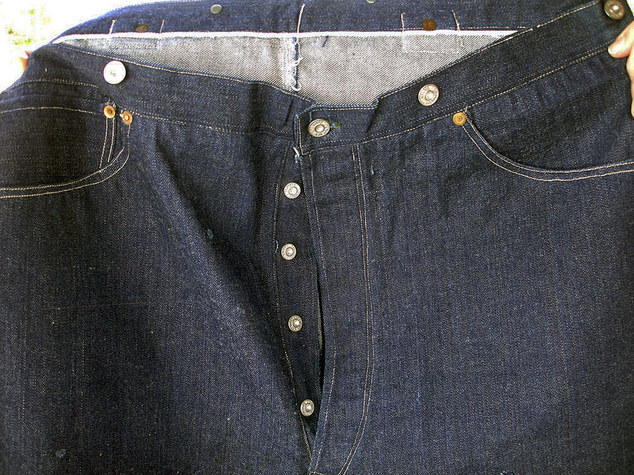 A pair of 501 jeans manufactured in the 1880s sold for $60,000 to a Japanese collector in 2005, Soules said, and another pair, from 1888, sold last year for six figures. Find out more about collecting vintage Levi Jeans in our previous blog post. 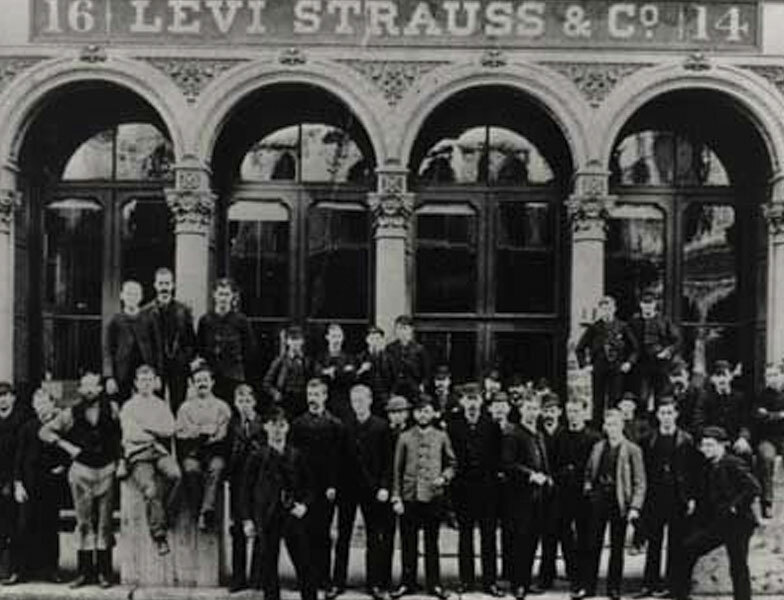 Levi Strauss was born in Bavaria in 1846. After the death of their father in 1846, Strauss and his sisters moved to New York to join their brothers, working in a wholesale dry goods business. Shortly after the start of the gold rush he moved to California to seek his fortune. He then started his own dry goods business and Levi Strauss & Co was born. 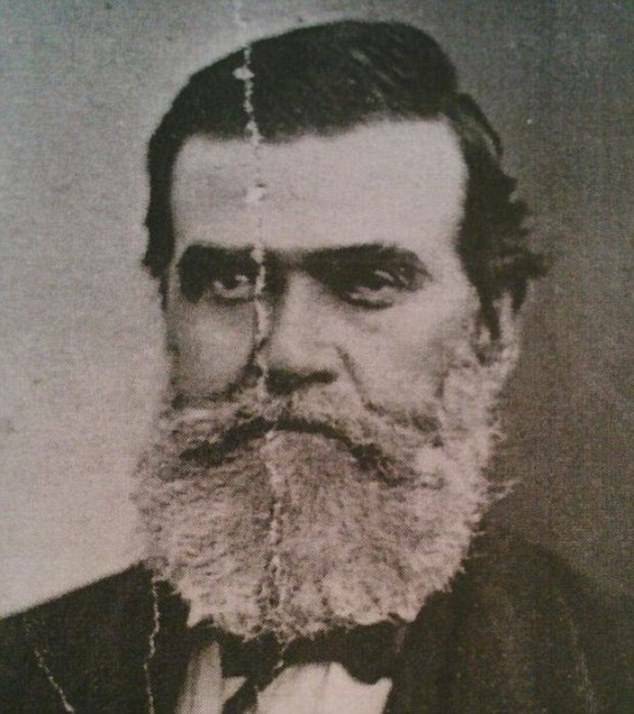 Meanwhile, Jacob Davis, a tailor, moved from New York to California in 1856. He failed to strike gold and his tailor shop was struggling so he moved to Canada. He later returned to Nevada and opened a tailor shop and chose Levi Strauss as his denim suppler. Although denim jeans were already in common use they were not durable enough to withstand the wear and tear. 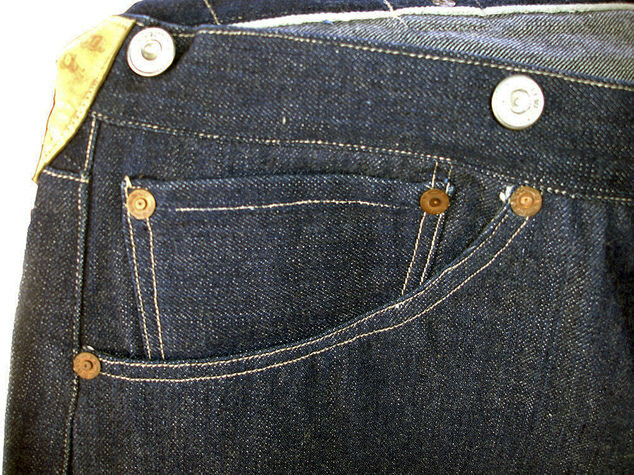 Davis came up with the idea of strengthening the jeans by incorporating metal rivets to the area under the most strain. This became so popular that Davies he decided to patent the idea. Because he did not that the capital he reached out to his supplier Levi Strauss. The patent was granted in May 1873 and the jeans as we know them today was born. Levi Strauss has become an American icon and jeans from the gold rush era have become very valuable, regardless of the condition. Such is the demand for these jeans, prices can reach as high as $100,000. But were can you find these rare treasures? Out in the desert in California, Nevada and Arizona, there are abandoned silver mines like buried time capsules. 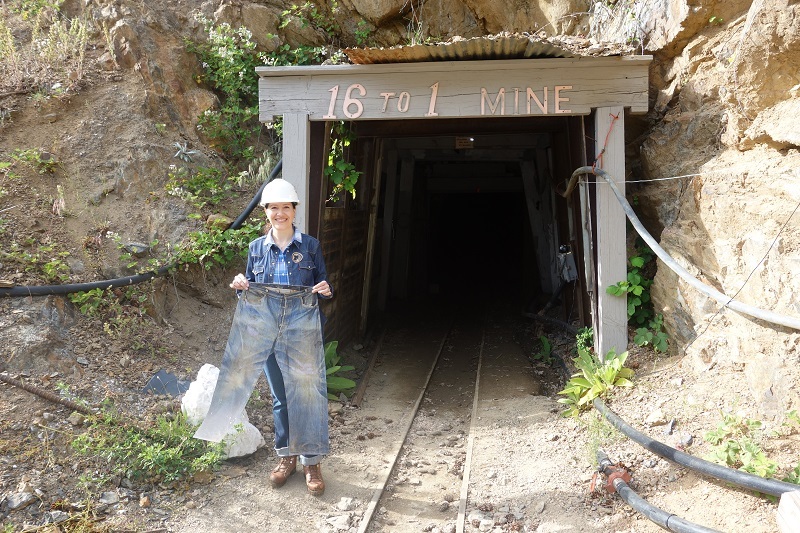 Treasure hunters are now searching these old abandoned mines for old denim hoping to strike gold. Even straps of denim from the gold rush can command high prices as collectors snap them up. 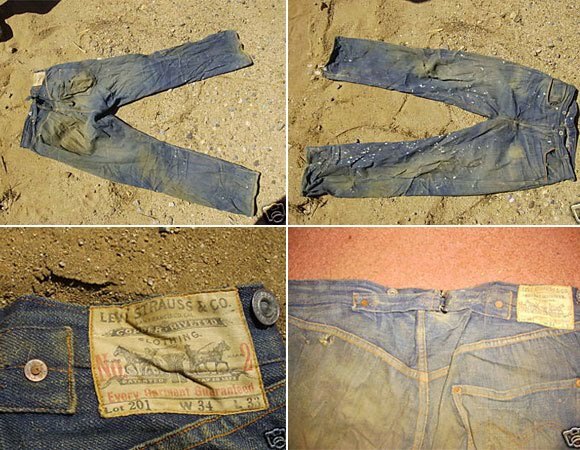 These very rare examples are beyond the reach of most collectors but it is still possible to find investment vintage Levi jeans from the 1960’s and 1970’s if you know what you are looking for. If you want to find our more, check out this Guide for dating vintage Levis. Guide to dating vintage Levi Jeans.